We are an experienced, professional and most importantly a reliable manufacturer,of Instrumentation & Process Measurement Solutions. Our products have been working successfully over decades throughout India, in Perth, Australia, in Zimbabwe, in Ghana, in Mozambique, in Thailand, in Croatia, in Vietnam , in UAE, in Dubai and many other countries. 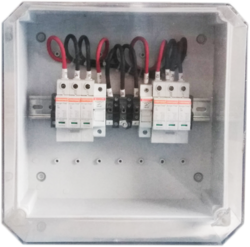 We design & provide high quality junction boxes of Polycarbonate material.